Mostly plants (herbs, grasses), but also occasionally (dead) insects. 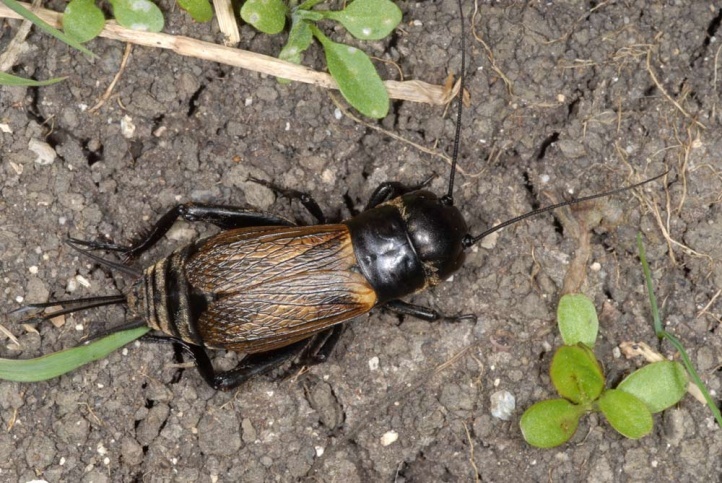 Gryllus campestris inhabits nutrient-poor grasslands of all kinds, rather dry, extensive hay meadows (Salvia-Arrhenatherum-meadows), large embankments, heathland and extensive, sunny pastures. 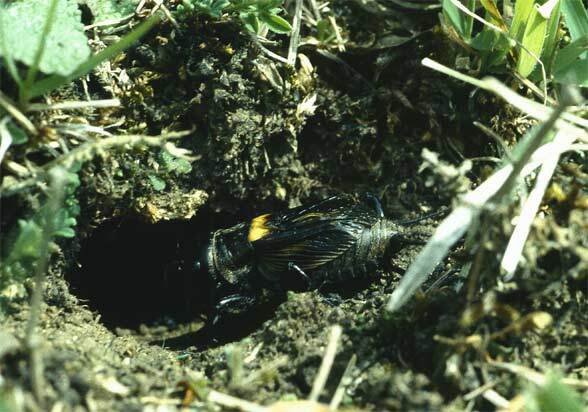 The larvae overwinter in general in penultimate instar. 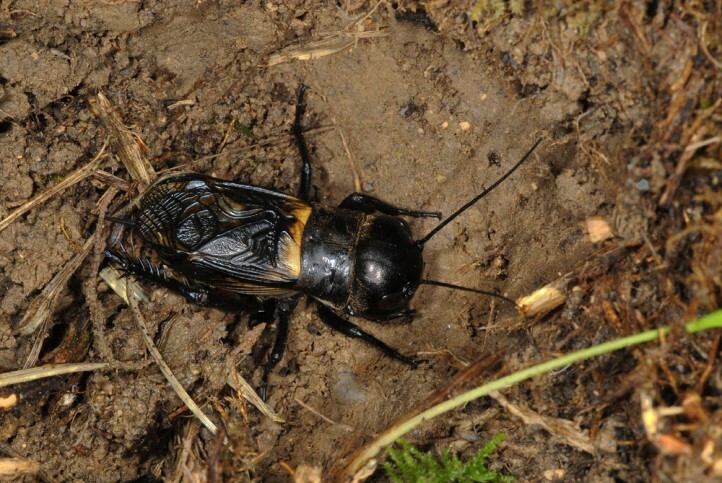 Adults occur from May to July and occur sporadically even in August. 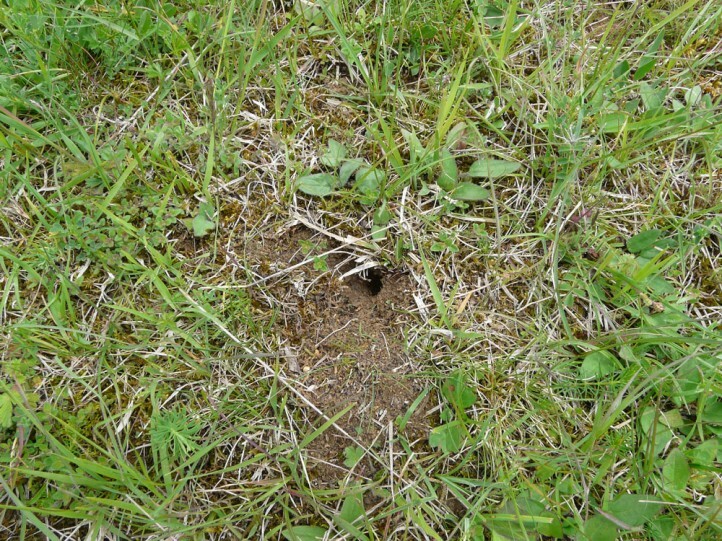 The insects are living in self-dug, linear ducts in the soil and can be observed at the surface and the entrances of the ducts for singing or feeding. 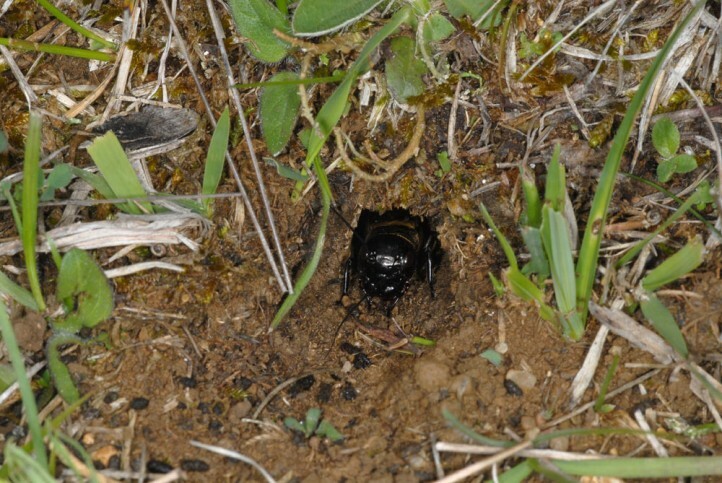 The females wander around in search for males and their ducts. 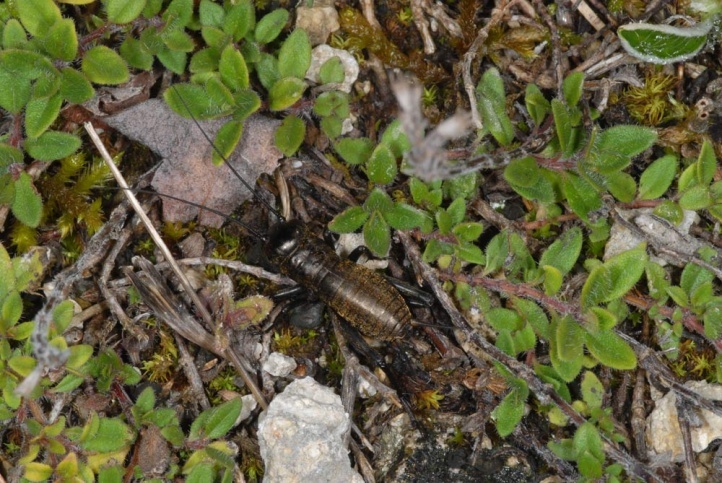 Gryllus campestris is alreadey threatened with extintion in northern Germany by the decline of habitats. 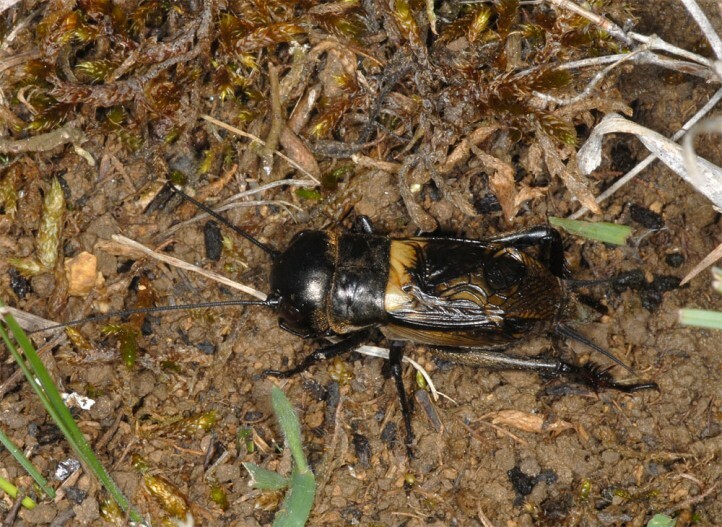 Further south, Gryllus campestris is still rather widespread still in regions that are reasonably interspersed with sufficient nutrient-poor grasslands such as the Swabian Alb due to its rather low requirements on their habitat in respect of xerothermic conditions. 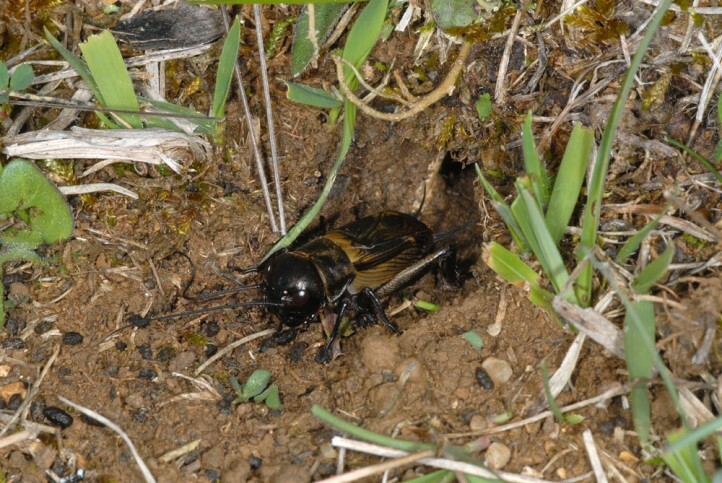 But Gryllus campestris requires quite large habitats or a functioning habitat network. 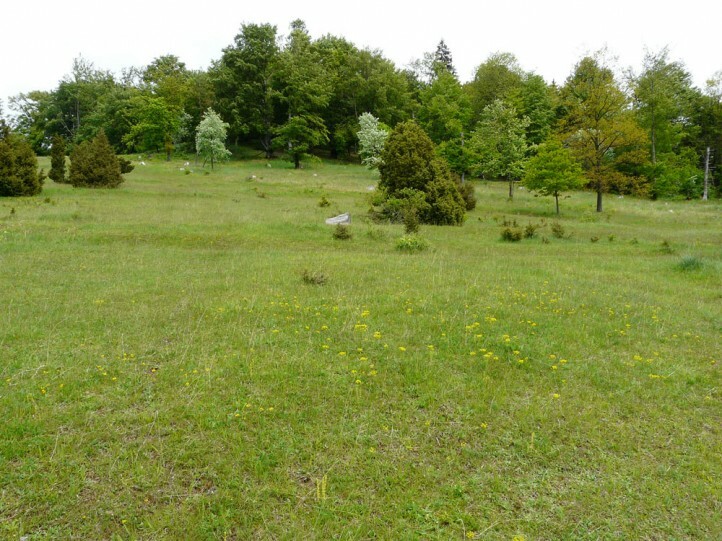 Small isolated areas are mostly vacant in contrast to many other species. 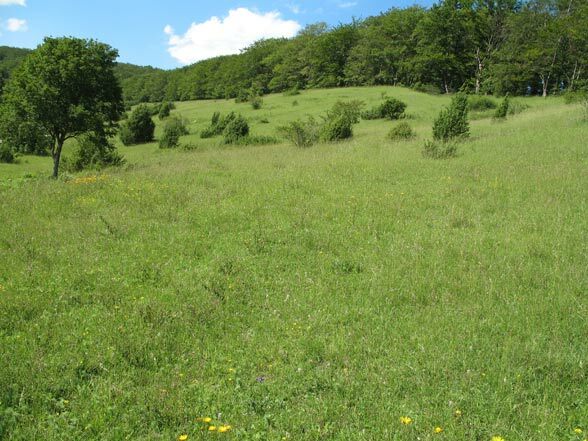 In the northern foreland of the Alps, the stocks collapsed in many places in recent decades by the drastic grassland intensification (manure fertilization) and have been pushed back to small remaining areas. The distribution extends from north Africa across Europe (missing only in the north and most of Great Britain) to West Asia.